As you may be aware, this is my second month doing the Zen Art Challenge created by Mindful Creativity. I wanted to push myself to think outside the box and do something a little different with this month. I have decided to make a mandala out of each five day span. Below is a link to the first five days of this challenge. It takes you to her Pinterest board, where she keeps track of these. Starting with day one I began in the center. I don’t like four petal flowers as I have stated before, but I know that part of the challenge, at least for me, is to use every pattern in a different way. So here is what I came up with. Can you see the progression of each day? 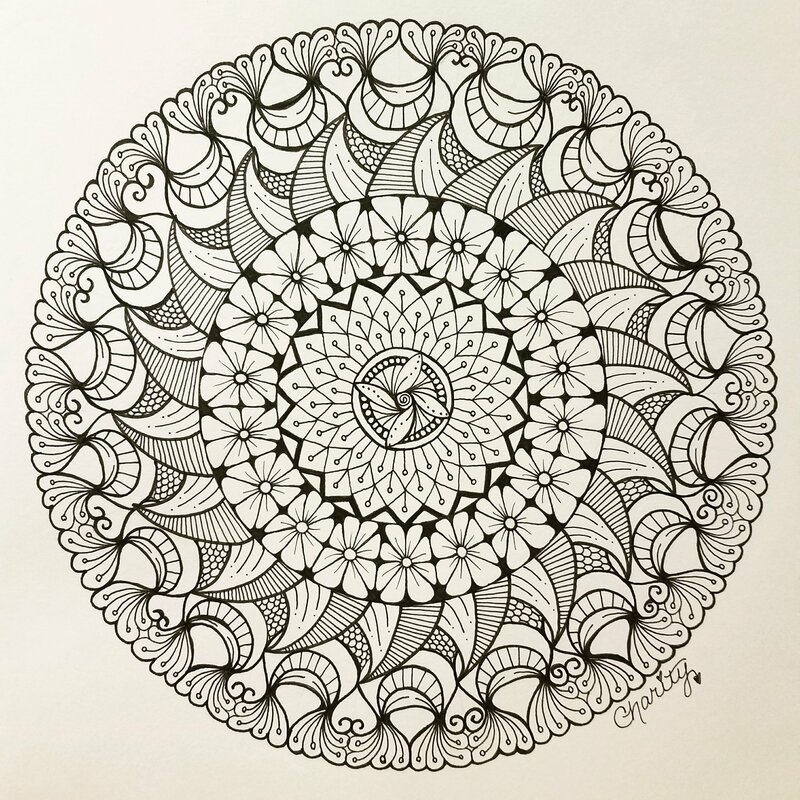 Please let me know if you like to see this type of challenge and which pattern you like most on this mandala in the comments below! It was a huge challenge because I didn’t know at what angle I wanted it to be at that would look the best.